Home World News Aid arrives at Venezuela border, forum warns of ‘chaos’ ! Trucks carrying desperately-needed humanitarian aid for crisis-wracked Venezuela arrived at its border with Colombia on Thursday as ministers from more than a dozen European and Latin American countries called on socialist leader Nicolas Maduro to hold “free” presidential elections. Claiming his legitimacy from the constitution, Guaido – the 35-year-old National Assembly leader – stunned Venezuelans when he proclaimed himself interim president on January 23, setting up a tense standoff with Maduro. Both men called huge rival rallies onto the streets. Guaido is trying to force from power the socialist leader – labeled a dictator by the West and his Latin American neighbors after presiding over Venezuela’s economic collapse – aiming to set up a transitional government and hold new presidential elections. 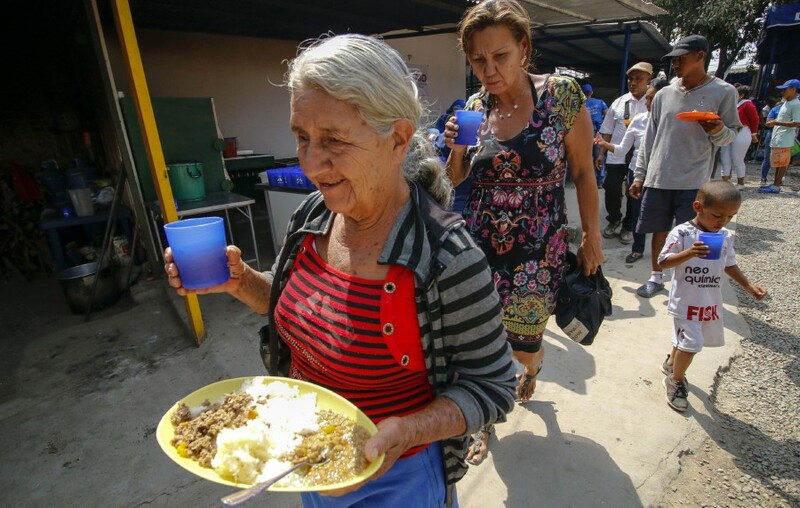 Yajaira Gonzalez, 64, said she was begging Maduro to let through the aid – food, medicine and personal hygiene kits – to her desperate compatriots back home. Gonzalez said she used to be a Chavista – a supporter of Maduro’s predecessor, the late socialist firebrand Hugo Chavez – but not anymore. Previous articleSonu Nigam suffers allergy after eating seafood ! Next articleNo one would believe this robbery happened if it wasn’t for the CCTV !